Rishabh Pant became India's 291st player to earn the Test Cap, while he made his Test debut during the 3rd Test match against England at Nottingham. The 20 -year- old wicket-keeper batsman from Delhi, made into the playing XI after Dinesh Karthik failed to put up a decent show, with the bat at least. The aggressive left-handed batsman right away entered into the record books by becoming the first Indian batsman to open his tally in Test cricket with a six, and became the 12th batsman in the history of Test cricket to do so. But the international debut in the Test arena has not proven to be a good outing for the young wicketkeeper-batsman, especially with the gloves behind the stumps. Despite kick-starting his international carrier by pouching seven scalps making him grab the record for most number of catches by an Indian wicketkeeper on Test debut, his performance with the gloves declined as the series progressed. Though India managed to clinch a victory over England by a margin of 203 runs in the third Test, there were few dropped chances. 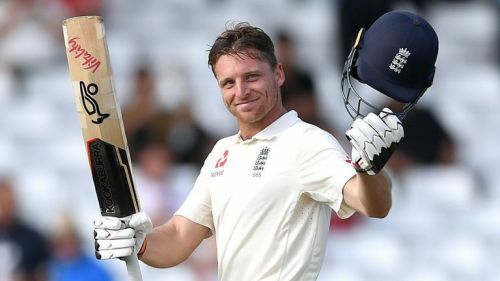 Pant dropped Jos Buttler off the bowling of Bumrah when the English batsman was on one run, which dragged the taste of victory and the margin of victory to the Indians to an extent. Buttler made the most of the life given to him and went on to score his maiden Test century. The dropped chance did not change the outcome of the game since India had a huge total to defend during the fourth innings of the match. Had the target been less, then the dropped catch might have proven costly. India has one such experience from the past when Indian wicket-keeper Kiran More dropped Graham Gooch on 36, who went to score a massive 333 runs. 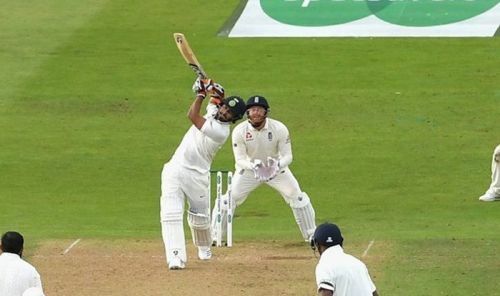 The nightmare continued for Pant as he dropped Jos Buttler again, this time off the bowling of Shami on 11 runs, but it did not cost India much as Buttler returned back to the pavilion after adding just 10 more runs to his tally. Pant went on to give away 30 byes, a huge number in a tight match where India lost by 60 runs and thus losing the series with one more match remaining in the series. 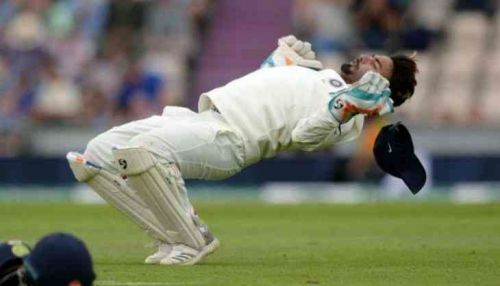 Wicket-keeping woes continued for Pant as he ended up conceding 40 byes during the final Test match. In a span of six innings, 76 byes were conceded by the young wicket-keeper. Fast bowlers need to be supported by the keeper and the slip cordon to convert the chances of the bat while playing in seaming tracks. It is a high time to consider Rishabh Pant’s ability with the gloves keeping in mind the Australian tour later this year. India must consider the role of Pant either as a batsman or take up a remedial measure to improve his abilities with the glove. Is Rishabh Pant India's surprise weapon for World Cup 2019? IPL 2019: Is Rishabh Pant over-rated or over-confident?